Audiobooks are on the rise, presenting opportunities you just can’t afford to ignore. Our audiobook services include producing, casting, recording, directing, editing and mastering. 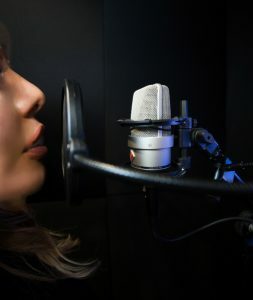 Our professional vocal booth and studio is specially designed for voice overs and audiobooks. We have highly experienced producers and a wide range of experienced, professional voice actors and narrators. We make sure your audiobook recording will go smoothly and meet the high standards required by ACX (Audiobook Creative Exchange). Why You Should Record an Audiobook? You’ve accomplished something magnificent and you should feel proud having created and published your book. Although you might be tempted to let your book sit on bookstore shelves or in Amazon’s digital marketplace, now it’s time to create your audiobook. There’s never been a better time to record an audiobook and take advantage of all the medium has to offer, including taking your sales goals to the next level. The Audio Publisher’s Association announced that audiobooks have become a billion-dollar industry that is still growing. Nostalgia: Audiobooks tap into childhood memories of books being read out loud. Time: Your readers are busy and have little time to devote to reading a physical copy of your book. Recording an audiobook lets your readers experience your book during the time they can’t do anything else, like on their morning commute. New Markets: There are book-buyers who never read books, choosing to exclusively listen to the books they buy. Recording an audiobook lets you tap into a huge market of audio-only readers, one you never could have accessed otherwise. How Long Does It Take To Record An Audiobook? It generally takes a total of around 6.2 hours for a Producer to complete one hour of an Audiobook. It takes about two hours to narrate what will become one finished hour. After the narration is recorded, it takes about three hours to edit each finished hour of recording. You then run a quality control (QC) pass over the finished project. This means spending time re-listening and suggesting words, sentences, or sections to re-record. And that takes about 1.2 hours for every finished hour. Young Lovana was raised in a family where she experienced the constant horrors of drugs, verbal and physical abuse. By the age of seven, she was raped by her father. Thrown out by her mother and step father at the age of 13, Lovana found herself in an abusive marriage, recreating the abuse that felt all too familiar. It was the love for her son that set Lovana on a new path toward healing. 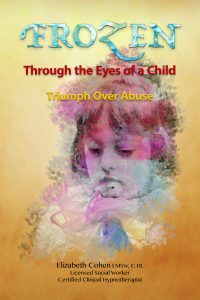 FROZEN: Through the Eyes of a Child – Triumph Over Abuse walks the reader through an inspirational journey toward self-discovery, giving hope, as Lovana discovers her strength, and inner power. An advocate for survivors is born in speaking her truth, creating the life she never knew was possible.